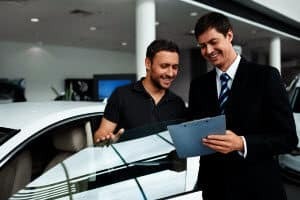 The good news is that if you know where to look, there are car dealerships open during those times when you don’t have to work, and they’re ready to help you find the car, truck, or SUV of your dreams. 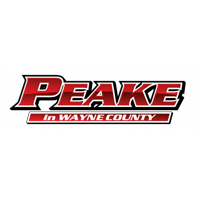 Discover why there’s no problem finding car dealerships open on Sunday when you choose Peake Chrysler Jeep Dodge Ram FIAT for your new car, truck, or SUV. The question of whether there are car dealerships open on Sunday isn’t one that has to be frustrating, or some kind of urban legend. At our dealership, we have hours every Sunday from 10:00 a.m. to 3:30 p.m. That’s just for sales—do you need automotive service at the most inopportune time of the week? It’s the perfect time when you’re working with us: our service and parts center are also open on Sunday; the parts department is open until 3:30 p.m., and the service center is open until 4:00 p.m.! For over two decades, we have been serving the Ontario, Sodus, and entire Wayne County areas with the very best in sales and service for cars, trucks, and SUVs. Every dealer claims that their customer service sets them apart from everywhere else—and we stand behind it. When you come to our showroom, we certainly treat you like trusted friends and family, and uphold our ideals of honesty, dedication, and outstanding service. Still, it only starts there; we offer a complete range of amenities, including a snack bar, free Wi-Fi, shuttle service, an express lane, free coffee, and both early bird and after-hours drop offs. Oh, and did we mention, we’re a pet-friendly facility? That’s right! Feel free to bring your four-legged friends with you! Find Your Dream Car — on Sunday! When you stop into our dealership, we’re here to offer you a zero-stress, hassle-free environment. Take all the time you need to find exactly the car, truck, or SUV you need. Test drive the vehicle and ask any questions you have. We’ll always treat you fairly and with respect, and our finance team will get you the best deals, incentives, and rates anywhere. We’re a partner in your car ownership experience. Our service center is here to help keep your car running in peak condition every day, every year—even on Sundays. 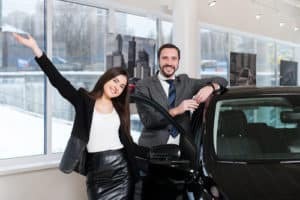 Never stress again about if there’s a car dealership open on Sunday near me. Peake Chrysler Dodge Jeep Ram FIAT is here, and we’re open. Check out our inventory online, then give us a call. You can also stop into our showroom this Sunday and ask about exploring our selection, taking a test drive, and starting your journey to a new car!